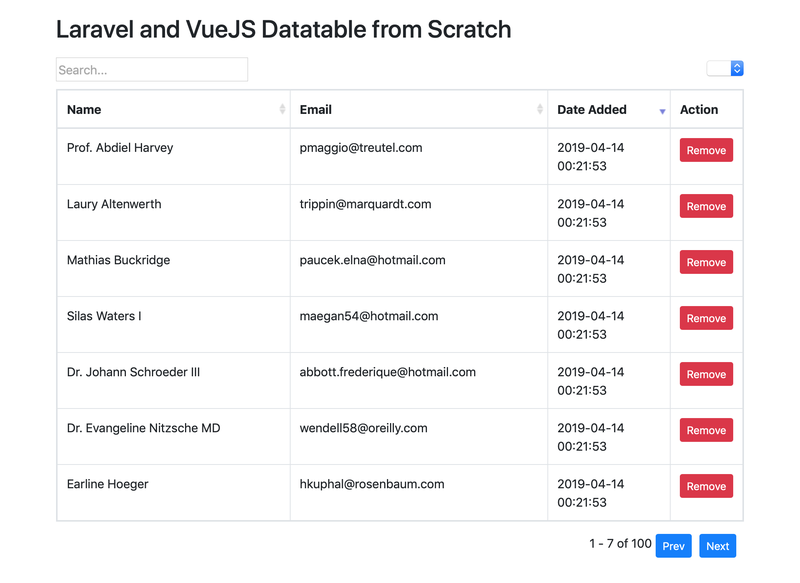 I am very much aware that there are many packages that can be used to achieve this, the most famous in the Laravel community is Yajra/laravel-datatables, which was built with jquery. But in the tutorial you will see how you can build this with VueJS. Setup a new laravel project called Datatable or whatever you choose. Create a database either in your Phpmyadmin or Sequel Pro GUI. Endeavour to replace the database name, the username and the password to suit you case. 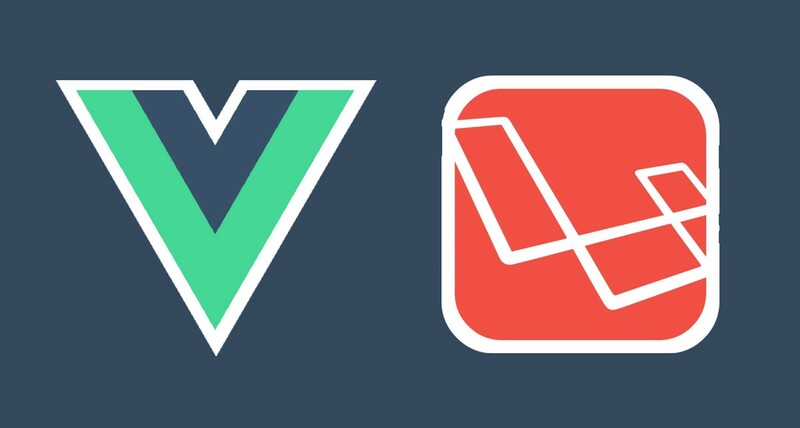 We are going to use only one migration file here, which is the default users migration shipped with laravel. Now check your database, the users table particularly, you will see 100 random users created by the seeder. Observe that we included the app.css , app.js the Vue component that will be used <all-users></all-users> and bootstrap cdn. From the above code, we get all the users in the database, we can filter the users and can also delete them. Sweetalert2 will be used for Notification This, we will install later. <input class="input" type="text" v-model="search" placeholder="Search..."
<th v-for="column in columns" :key="column.name" @click="sortBy(column.name)"
:class="sortKey === column.name ? (sortOrders[column.name] > 0 ? 'sorting_asc' : 'sorting_desc') : 'sorting'"
Then visit: http://127.0.0.1:8000 and see your application running. with the randomly generated 100 users. I hope you didn’t have any issues following this tutorial. If you do, please don’t hesitate to comment as i will respond promptly. You have seen a basic Datatable from this tutorial, which can be used for literally any situation that involve data presentation in a tabular form. Be it in the SuperAdmin, or rendering whatever data of your choice.